Learn how to preserve food by canning, drying, freezing and other historical preserving methods ! You are about to discover proven methods and techniques on how to preserve food by canning, drying, freezing and other traditional techniques. 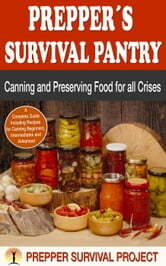 Canning and preserving food has been an old tradition since decades to avoid food from going bad. This book goes back in time and throw some light on how people in the past used traditional methods to preserve their food. People who cannot afford the latest methods to preserve their food like refrigerators or deep freezers can turn their attention to these traditional methods. Equipped with the right knowledge and tools, one can conveniently preserve all types of food at home, without investing in an electronic gadget. Food items that can be preserved this way include vegetables, fruits, corns, soups, jam, pickles, herbs and meat. 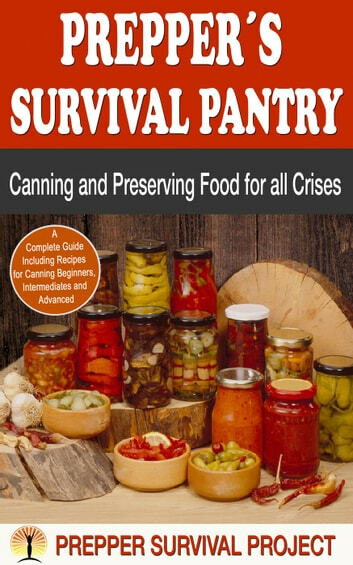 People like preppers and survivalists switch over to the alternative of canning because they are faced with the urgent need to store food, in case of emergency, drought or famine. This technique can preserve food for a few months or years. This book will guide you on how to preserve your food and how to perform the best of it by various preserving techniques. By reading this book you will get all the proven steps and strategies to do the preserving job. Here not only the basic steps are given but also many tricks and tips are given to perform the best. Learn about the science behind preservation. Learn about traditional methods of preservation like refrigeration, salting, smoking, pickling, sugaring and fermentation. It is the best time for you to start preserving food from now by following the terms and conditions of the book. Take action right away to learn all steps and techniques on preserving food and learn all the tips to perform the best from first time job – so it´s up to you to start now by downloading this book, "Canning, preserving and drying food". Recipes Sauces - Sauces and gravies most famous: A collection of recipes for seasoning and make your dishes more delicious.